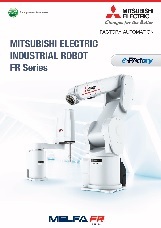 ﻿ In English | Mitsubishi Electric képviselet - MELTRADE Automatika Kft. Mitsubishi Electric is delighted to be celebrating the tenth anniversary of the formation of MELTRADE Automatika Ltd, its principle distributor in Hungary. 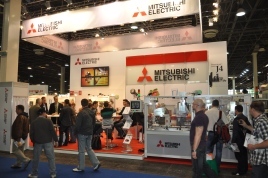 MELTRADE Automatika Ltd. was established in 2002 to bring the full portfolio of Mitsubishi Electric factory automation products to the fast growing Hungarian market, and deliver local support to both new and existing users. 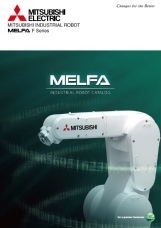 Since its formation, MELTRADE Automatika Ltd. has almost doubled its sales of Mitsubishi Electric products every year, highlighting both the appetite for high quality automation products in Hungary and the high level of expertise that MELTRADE Automatika and its system integrator partners deliver. In addition to sales, MELTRADE provides full technical support services, product training, and warranty and over-warranty exchange or repair. With its system integrator partners, MELTRADE extends its services to include complete project planning, programming, installation and maintenance. While Mitsubishi Electric products had been in use in Hungary for many years before MELTRADE was formed, these were predominantly installed on machines imported into the country. MELTRADE set itself the task of growing wider brand awareness, providing local sales and expertise, and delivering technical support to the owners of production lines already using Mitsubishi equipment. The company’s commitment to excellence includes working with customers in their own premises to select the most appropriate product solutions, training at customers’ facilities, a telephone hotline that is available from 08:00 to 18:00 and the loan of spare parts while repairs are being carried out.